The leveling of the subfloor for the decorative finishing can be done in more than one way. Cement screed for this case - the most time-consuming and lengthy process. 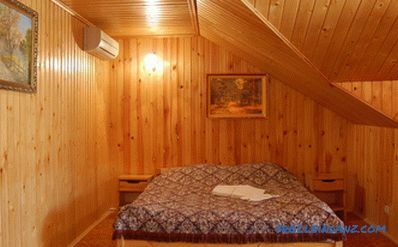 Often on the basis of simply laid sheets of chipboard. This material shows its weaknesses both in the process of working with it and in subsequent operation. DSP has a hefty brittleness, the ability to break at the ends and corners of sheets when cut and fasten. Floors with such a base do not tolerate excessive moisture, and therefore are not suitable for the bathroom and kitchen. 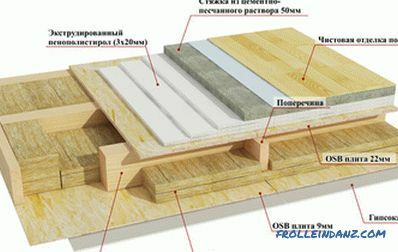 Due to its strength, density, environmental friendliness, resistance to moisture, fire, decay, chemicals DSP is considered one of the best sheet building materials and is an excellent basis for subfloor . For those who are already familiar with a relatively new building product - DSP, the choice of material for the draft basis is no longer necessary. 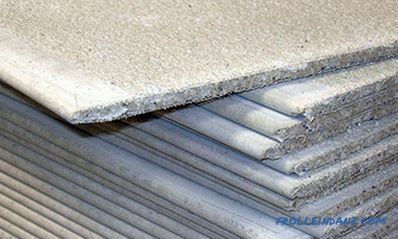 Composition and quality characteristics of cement particle boards. This product does not have complete perfection, but it has undeniable advantages that make it more and more popular among repairmen and builders. 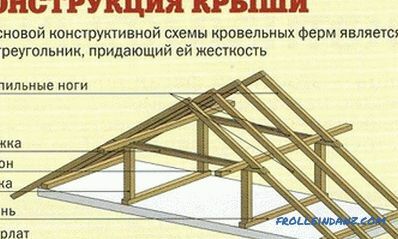 If we compare its mechanical strength with chipboard, the result will be 3 times higher. DSP has a very high resistance to physical effects of any kind, is immune to fungal infections and mold. These plates do not have the main drawback of chipboard - hygroscopicity. The ability to completely resist a wet environment and critical temperatures, absolute incombustibility and an acceptable price make it possible to come to terms with the heavy weight of cement-bonded chipboards and the rather dusty process of cutting them while working. The DSP production technology completely eliminates the formation of voids and internal defects in the body of the slab. The three-layer structure causes the extraordinary strength of the material made from small chips and wood fibers, Portland cement and plasticizers by pressing. The specificity of the composition and production of cement particle boards makes it possible to apply them in the most diverse areas of construction and repair: from the construction of buildings to interior and exterior decorations. The best option in order to level the floors in a new building or in the construction of a house would be to use DSP stacking in lags. In the process of working with the plates, one more merit of the product will appear: convenient installation, ease of cutting, drilling and fasteners. No matter what type of foundation the floors will be laid - reinforced concrete or unpaved, it should be sufficiently reliable. Laying the subfloor on the logs. 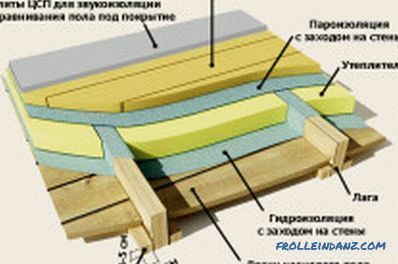 In the case of preparing the foundation for a new floor on the first floor of a private house building with an open ground, the ground surface is leveled. It holds a bulk cushion from a sand-gravel mix about 20 cm thick and is very well tamped. The supports under the logs in the form of columns (or a strip foundation) can be laid out directly on the ground, but an additional layer of hydro- and thermal insulation will not be superfluous. Brick pillars lay out in the form of a well, reinforcing their inside and making pouring with concrete. 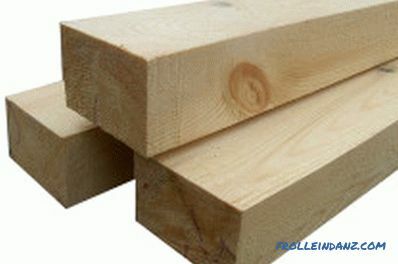 The distance between the supports can vary from 50 cm to 1 m and depends on the cross-section of the beam from which logs will be made. Then waterproofing is mounted on the supports. Concrete foundation is checked for deviations in the horizontal level. If the figures do not exceed 3-4 cm, then the floor is considered suitable for further work, and minor drops are eliminated by placing compensating pads under the lags. With serious surface irregularities, it is better not to save time and money, but to make a cement screed. Otherwise it will lead to a violation of the stability of the subfloor and its premature repair and replacement of the decorative coating. To set the floor lag of DSPs, it is necessary to use dry and antiseptic-treated bars with a section of 100x50 mm or 150x100 mm. All damage to the concrete base in the form of cracks and pits should be puttied or sealed with cement mortar. Waterproofing can be performed by laying a thick plastic film with a slight overlap from the floor on the walls. Lag mounting scheme for a DSP floor plan. A bar has two requirements: it must be well dried and always treated with an antiseptic to prevent putrefactive processes and protect against mold and mildew. 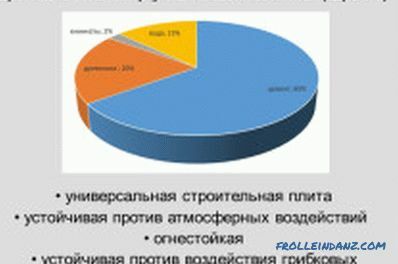 Instead of a special tool, you can apply the development of engine oil, which has 2 advantages: low price and no foreign smell. If the floors of TsSP are arranged on a cement screed, then the cross section of the beam can be reduced to 50x50, so as not to take away the useful space from the room. It is important to observe a strict horizontal level when setting a lag. The first bars are mounted on two opposite walls, and between them stretch a fishing line. Lags stuffed with a distance of 40-50 cm, the most appropriate for the installation of sheet particle materials. Then, with the same pitch, the ribs for transverse lathing are attached. Fixing takes place with screws or dowels-nails, and for strength between the concrete and the bar lay small pieces of plywood. After that, you can proceed to the installation of insulation. For this, it is possible to use any type of insulation: from foam and foiled polypropylene to mineral wool and cork. The floors along the cement strand board lags begin to lay, distributing the sheets around the perimeter of the room. The elements to be trimmed, put the mark with a marker with a ruler. Cutting sheets TsSP can be made grinder, but using a manual hacksaw, they are divided into parts is quite simple. A hacksaw blade makes a groove along the line of the marking made, and part of the slab easily breaks off at the right place when pressed. Lagging floors are laid out from the DSP with a mandatory run-up around the seams. 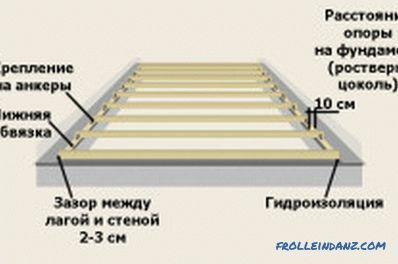 The plates are fastened to the wooden bar with screws, and the gap between them is subsequently closed with a putty or tile glue. Often, tubercles are formed at the joints of the slabs, which later have a bad effect on such floors as linoleum or cork: irregularities appear through the flexible surface. These shortcomings are eliminated by grinding and filling individual sections of the floor. It is desirable to treat the top layer with a composition with waterproofing properties, especially if the humidity in the room is above the normal range. 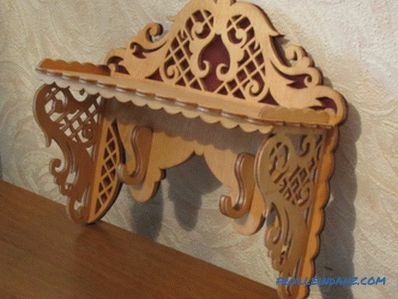 Furniture from the boards with their own hands. Preparatory work. 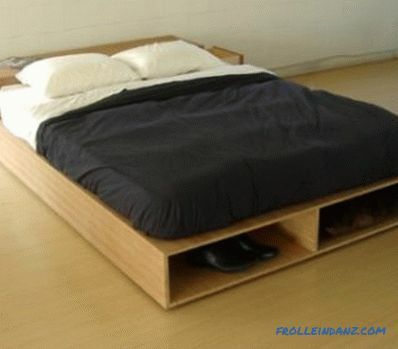 Full production of a bed from the first to the last step. The time after which you can begin operation.